Where Is Our Patrick Henry? There has been copious speculation about who will arise to oppose Barack Hussein Obama at the end of his first and only term in office. There are almost as many ideas as there are people disgusted with the path of our country. I am looking for something more than an ideal candidate that can win an election. Instead of a politician running for an office, I would suggest we should be looking for a statesman… a leader with a vision and passion. We often think of men like Washington, Jefferson, Adams… presidents all, but they were not alone in building the fledgling nation. There were others who drove the cause of freedom, helping pave the way to our independence. Patrick Henry was one of these who guided the our country into the light of independence. This future governor of Virginia is credited with helping his contemporaries see the need for independence and helping them to commit to fighting for it. Through the years, his words have inspired many to a greater belief in both liberty and themselves. He demonstrated a single minded dedication to his country and its people. In view of the hazardous days ahead for our nation, it would be well to study these ideas coming from this man who loved his land and loved liberty. The great object is that every man be armed. Everyone who is able may have a gun. The Constitution is not an instrument for the government to restrain the people, it is an instrument for the people to restrain the government — lest it come to dominate our lives and interests. O sir, we should have fine times, indeed, if, to punish tyrants, it were only sufficient to assemble the people! Your arms, wherewith you could defend yourselves, are gone; and you have no longer an aristocratical, no longer a democratical spirit. Did you ever read of any revolution in a nation, brought about by the punishment of those in power, inflicted by those who had no power at all? Is life so dear, or peace so sweet, as to be purchased at the price of chains and slavery? Forbid it, Almighty God! – I know not what course others may take; but as for me, give me liberty or give me death! Today we honor this man and his devotion. We see him as a hero of the first American revolution, yet are we ready to emulate him? Often our respect for law and order turns us into compliant servants of a government that is taking us down the road to financial and spiritual ruin. 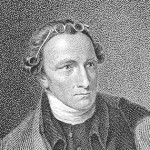 As we sing the praises of Patrick Henry, we need to remember that had the revolution failed, he would have experienced the short drop with a sudden stop at the end of a hangman’s rope… and we are afraid of minor infractions in our fight to remain free. On 9-12 there were half that number in Washington, and how many more at other rallies all across America? Keep kneeling in prayer to Reclaim Our American Republic – R.O.A.R. ! !